Two skiers have died after crashing into one another at a German ski resort in Baden-Württemberg on Sunday, a fatal tragedy practically unheard of in the skiing community. The incident took place in Feldberg, a quiet resort in the Black Forest, where two men collided while on a beginners’ slope during the last downhill run of the day. The ski lifts were already closed and so the hill was nearly empty, reported Badische Zeitung. “It's a really flat slope - a so-called beginners’ slope. It’s hard to explain how it could have happened on that part of the piste,” said Adrian Probst from the local mountain rescue team, according to the Local. However, Probst said skiers can still hit speeds of up to 100kph, even on relatively gentle slopes. The victims, a 29-year-old French national from Alsace and a 30-year-old German from Stuttgart, were wearing helmets at the time of the crash, the Süddeutsche Zeitung reported. An investigation into the cause of the fatal collision is underway. Rescue teams were reportedly already on the slope at the time of the collision and attended to the men quickly. Emergency services attempted to resuscitate them for 45 minutes before giving up. 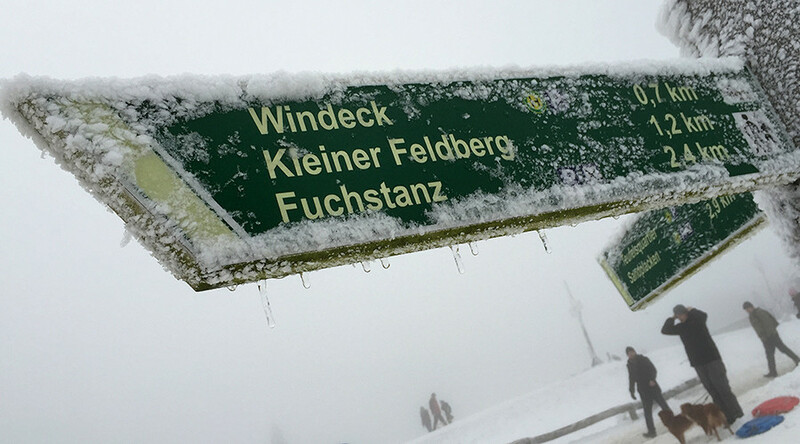 “They were practically on their way home” said Feldberg Mayor, Stefan Wirbser, who told Badische Zeitung that only one person had ever died from a collision at the resort. Süddeutsche Zeitung said the last person to die at the “largest and most important ski resort in Baden-Württemberg” was a man who suffered a heart attack three years ago.